Google is constantly working on developing something new for its users.Google Assistant is one such program developed by Google for it’s Android Smartphones.We all know that major companies like Apple have Siri and Windows have Cortana as their smartphone assistant and now Google too has one called “Google Assistant”. Google recently, introduced their new flagship model smartphone named “Google Pixel”.This is the first ever device to come branded with Google itself. Now Google Assistant is only available on Pixel Smartphones and no other smartphones are having this feature. The Beta version of new Google App has Google Assistant pre installed in it. So, by downloading the Beta version of Google App anyone can get Google Assistant if the phone is running on Lollipop or above. But Now, How can you get this Google Assistant feature on your Smartphone? 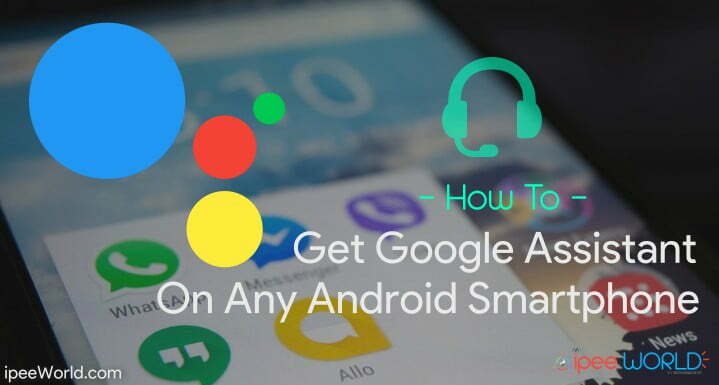 That’s why you are here.Today in this Article I will explain all detailed steps for getting Google Assistant on your Android Device. Recently, Google officially rolled out the beta version of new Google App which has Google Assistant in it. 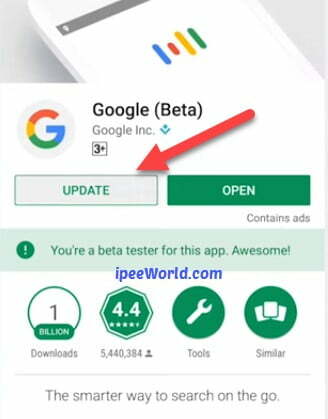 Anyone who installs the Beta version of the App will have access to Google’s Beta Testing edition of Google Assistant, by this, you can get Google Assistant on any phone. Do Remember: Even if you are a Google Beta Tester, You will need an Android Phone running on Marshmallow or Nougat. This will only work with Marshmallow and Nougat. No Lollipop or any other versions of Android below it, Better next time! If you get any unknown sources warning just go to Settings > Security > And enable Unknown Sources. 3. 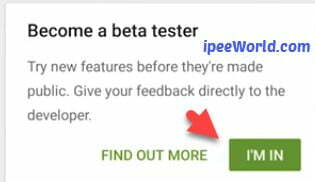 Now, Go to Play Store and update the Google App to the latest Beta Version. If you want to install Beta Version of the App, then you should be a Beta Tester of the App, for that follow the instructions below. 4. Take Google App download page on Google Play Store. 6. Click on “I’M IN” and enroll in the Beta Testing program. 8. Update your Google App to the latest Beta Version. 9. 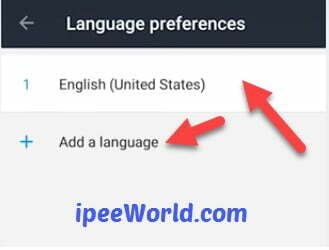 Go to your Phone Settings > Languages > And make sure that your phone’s Default language is English United States. If not, Add this language and remove any other Language, if any. 10. Now, restart your phone. 11. 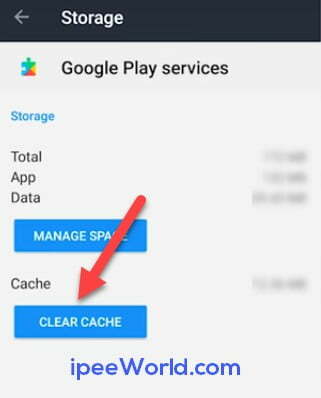 Once turned on, go to Settings > Apps > Google Play Services and Clear the App data. Now long tap on the Home Button, and Viola, Here comes the new Google Assistant. That’s it, you now have Google Assistant on your Android Device. The trick for getting Google Assistant feature in your Device is different for both Marshmallow and Nougat users.Follow the below-given tutorial step by step according to your Device. You Need a smartphone with Android version 6.0(Marshmallow) or 7.0(Nougat). Step 1: Firstly, Your device must have Xposed Installer installed. Step 2: Once you have installed Xposed Installer, Open it up. Step 3: Go to the Download section, and search for “Assistant enabler” module and install it. Step 4: Go to Modules tab and tick mark on “Assistant Enabler”. Voila, After Restart you will get Google Assistant feature on your Phone. Step 1: Firstly, Download and Install ES File Explorer from Google Play Store(Ignore if already installed). Step 3: Swipe from the left and click on Enable Root Explorer and grant permission. Step 4: Open Device’s Slash Directory and open System folder. Step 5: Open “build.prop” file with ES File Editor,tap on dots and click on Edit Now. Step 6: Now enter the code given below at the bottom of the “build.prop” file. Step 9: After reboot, Open Play Store and Update “Google Now” application. Now open the Google Now application and long click on the Home button, Google Assistant will open up.Now setup it for first time and make it yours. That’s it, see how simple it was to Install Google Assistant feature on any Android smartphone. Google Assistant feature is only available on Google-branded Pixel Smartphones, if you don’t have a Pixel smartphone, then follow the above-mentioned tutorial and get it installed on your device.